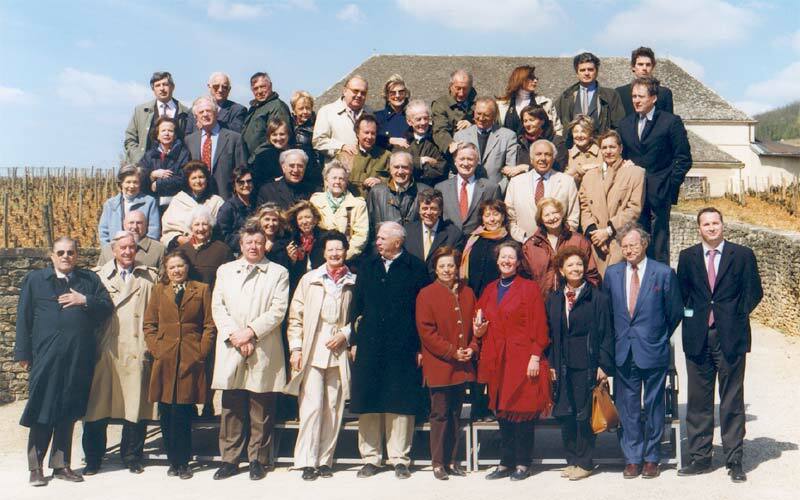 Click to magnify each picture. 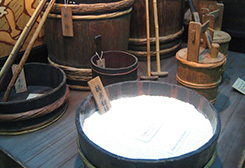 To store the file on your computer on HD quality, click on the "DOWNLOAD" link, then right-click on the contextual menu and select "Save picture as". 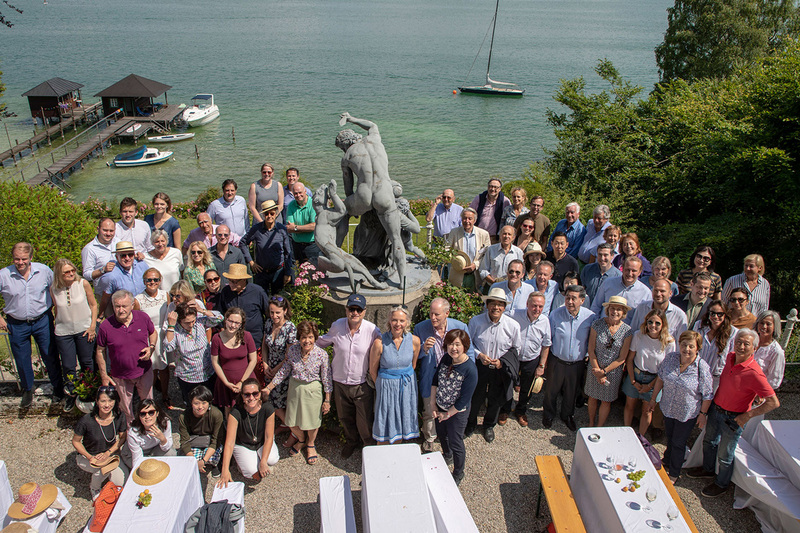 2018 annual Congress of the Henokiens organized in Munich by the member Schoeller. 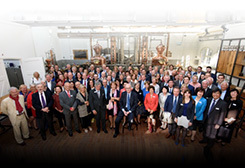 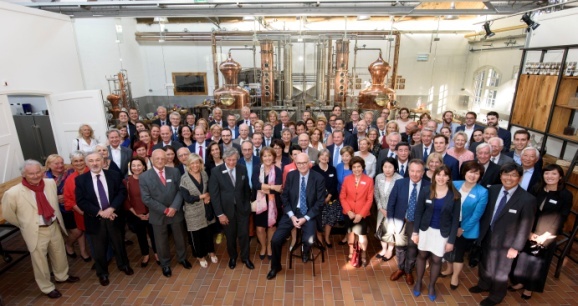 The 2016 Hénokiens Annual Congress which took place this year in The Netherlands (Rotterdam) was organized by the Dutch member De Kuyper Royal Distillers. 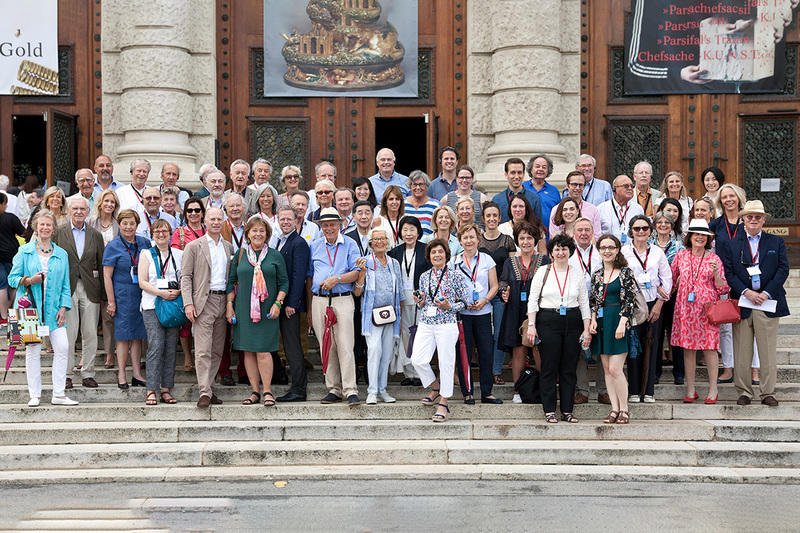 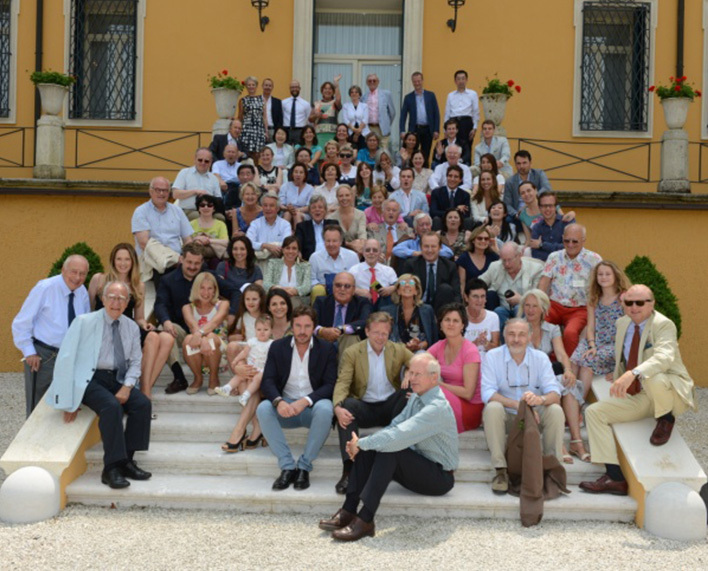 The 2015 Henokiens Annual Congress which took place this year in Italy was co organized by 3 Italian members : Cartiera Mantovana, Stabilimento Colchacini and Guerrieri Rizzardi. 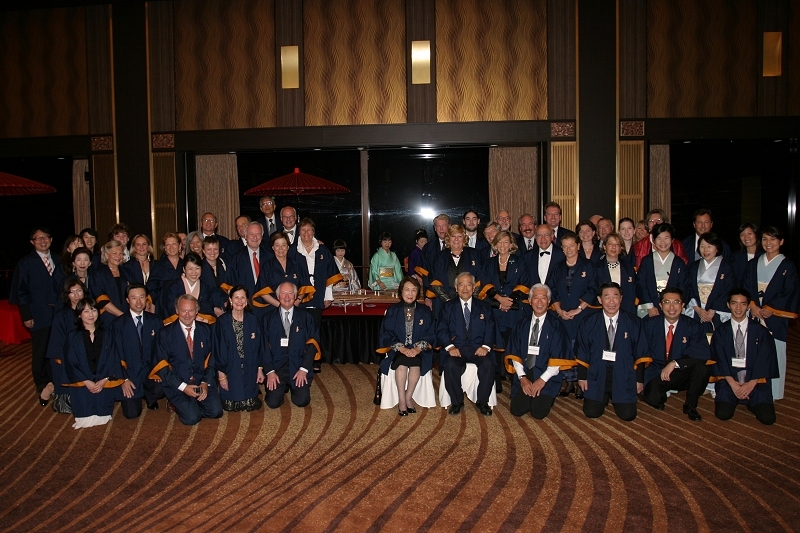 The 2014 Henokiens Annual Congress was organized by the company member Toraya from 23 to 27 October in Tokyo. 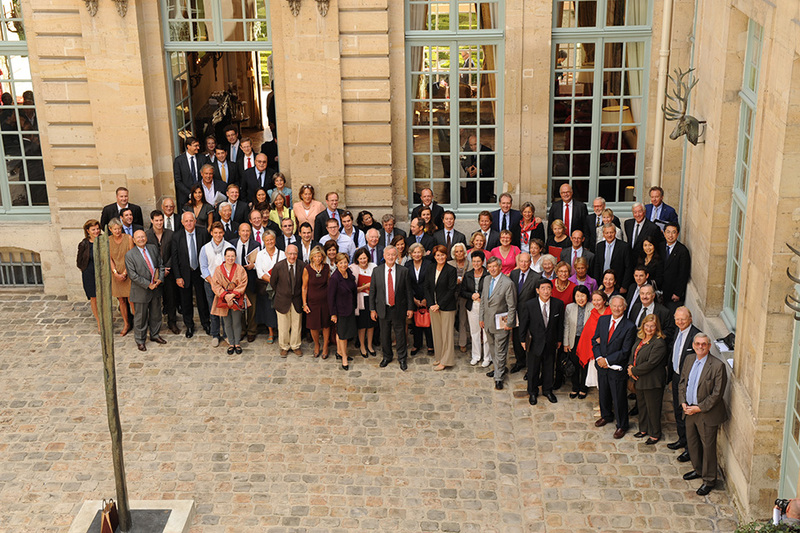 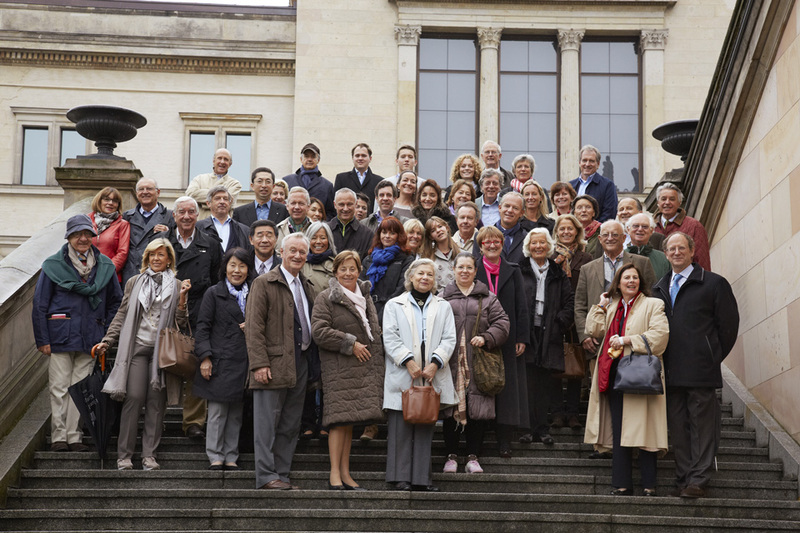 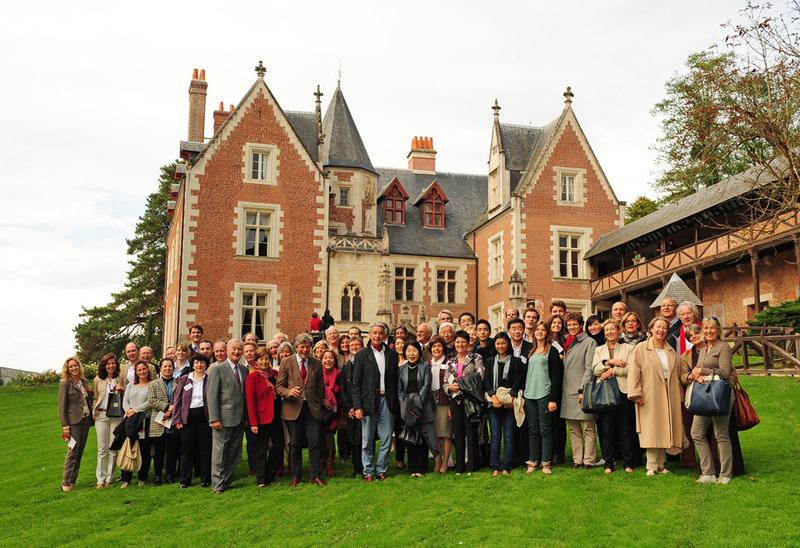 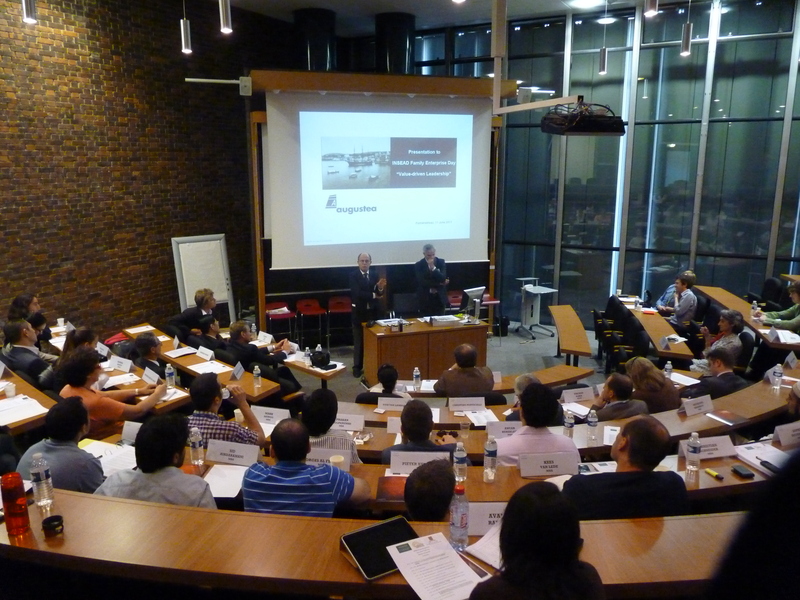 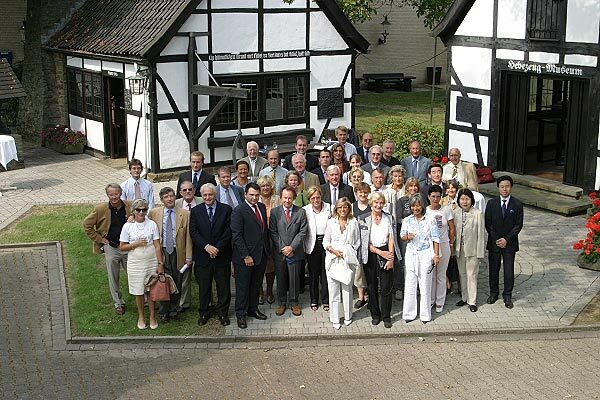 Henokiens members assembled for their 2013 Annual Congress at the Chateau du Clos Lucé in Amboise. 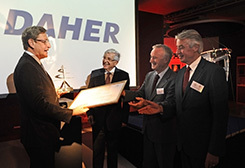 The third Leonardo da Vinci Prize was awarded to Daher. 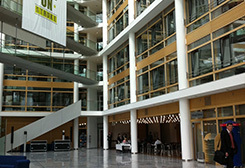 The Henokiens General Meeting took place in Berlin from 4 to 7 October 2012 hosted by member firm Möller Group. 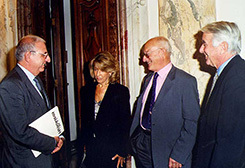 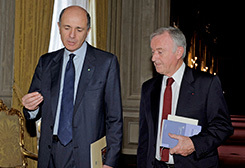 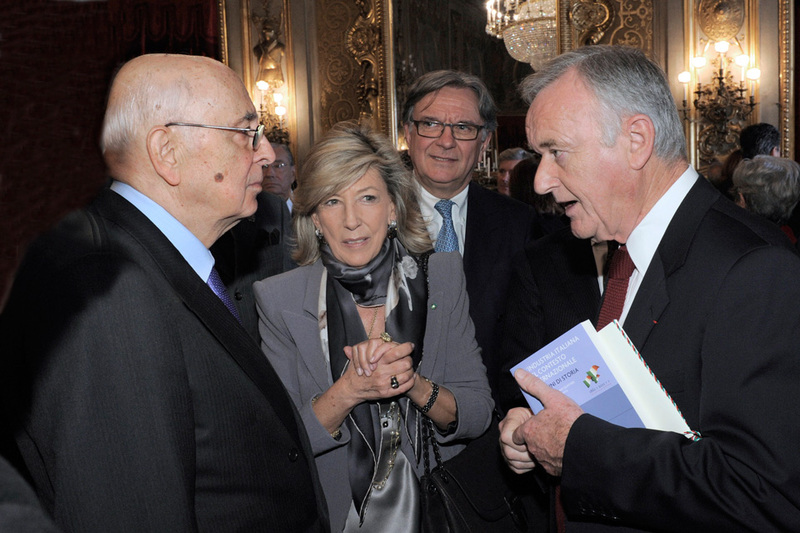 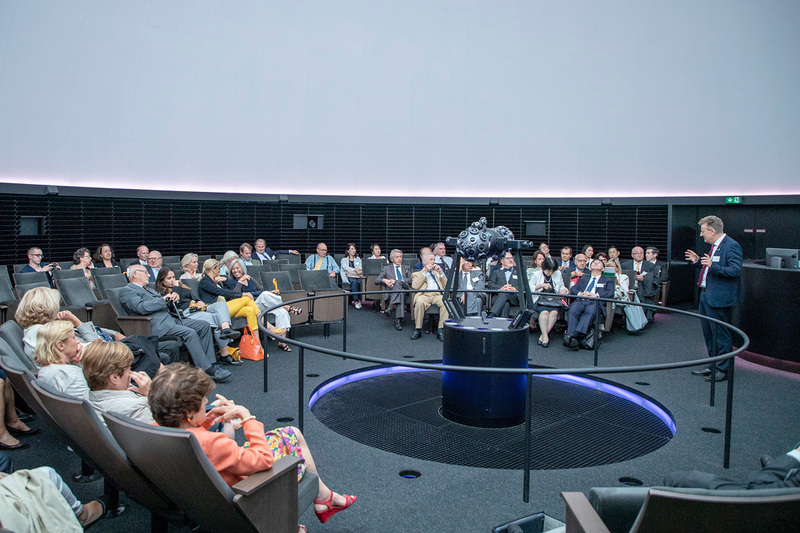 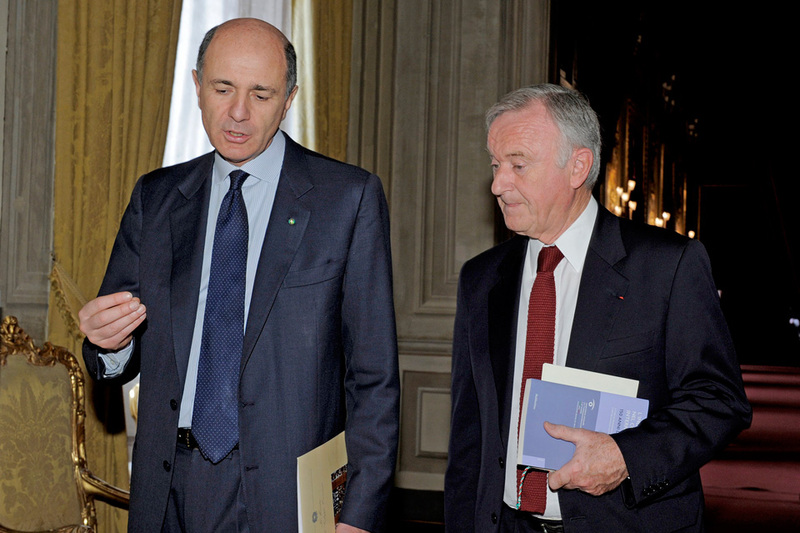 Mr. Giorgio Napolitano, President of Italy, with Mr. Christophe Viellard and Mrs. Pina Amarelli, President and Vice President of the Henokiens Association. 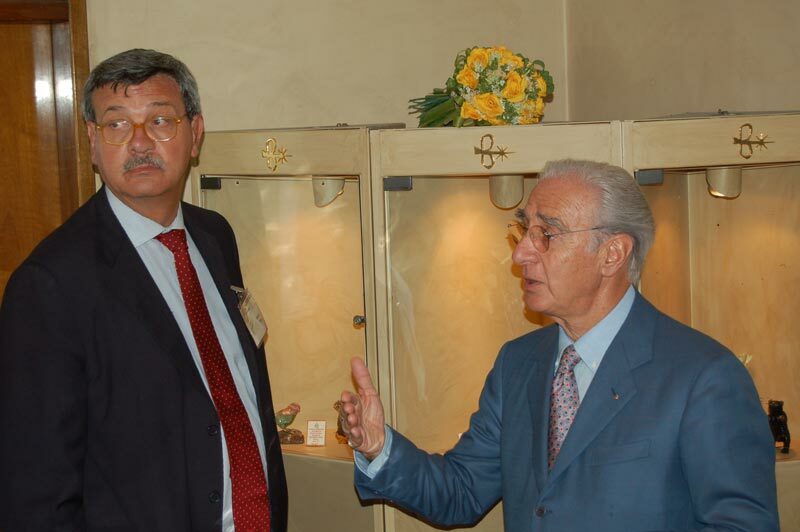 Mr. Corrado Passera, Italian Minister of Economic Development, with Mr. Christophe Viellard, President of the Henokiens Association. 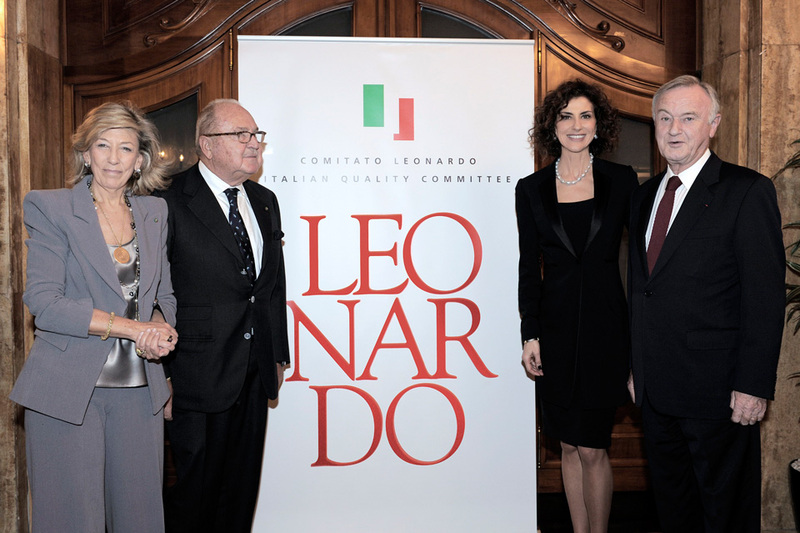 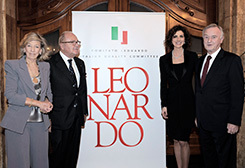 Mrs. Luisa Todini, President of the Leonardo Committee, with Mr. Christophe Viellard, Mrs. Pina Amarelli, and Mr. Ugo Gussalli Beretta, President, Vice President and founding member of the Henokiens Association. 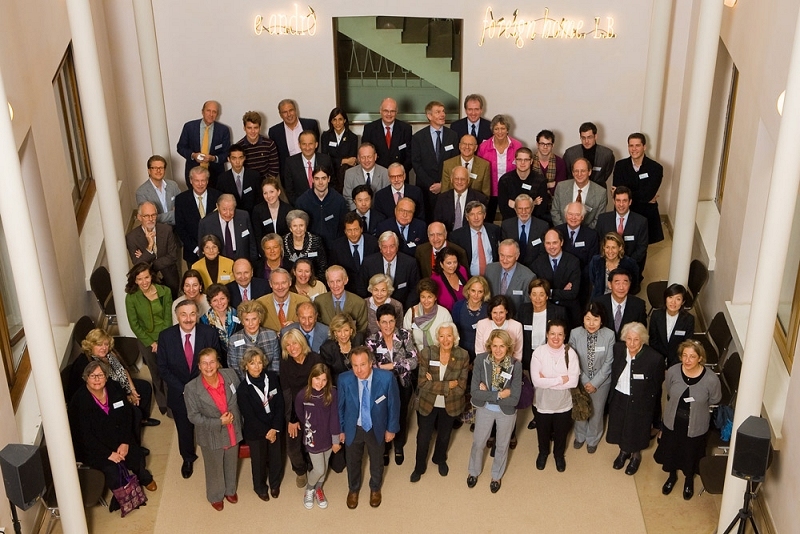 Henokiens members assembled for their annual General Meeting hosted by member firm Banque Jean-Philippe Hottinguer & Cie. 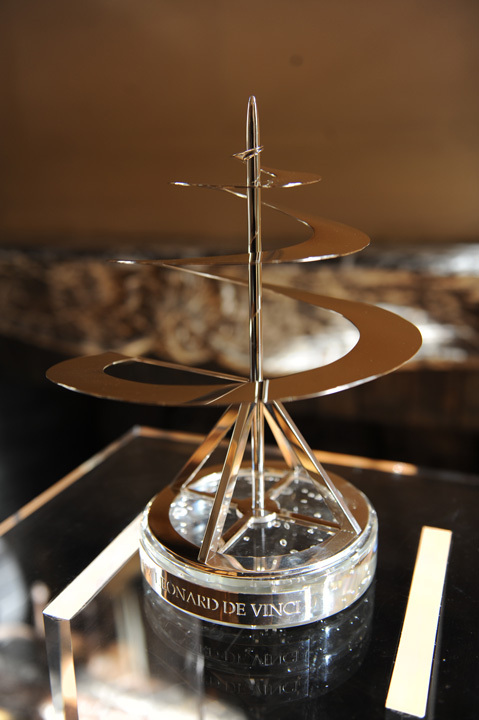 The trophy associated with this prize was designed by Mellerio dits Meller, Parisian jeweller and member of the Henokiens Association. 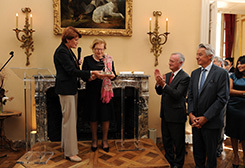 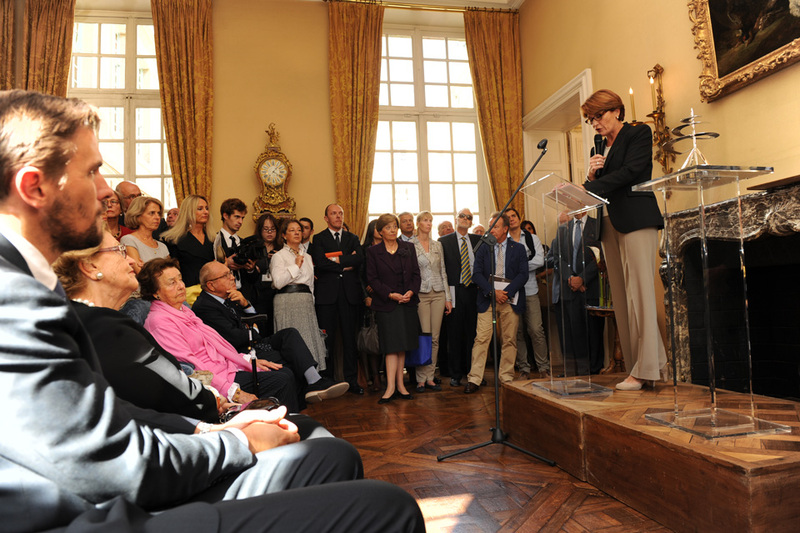 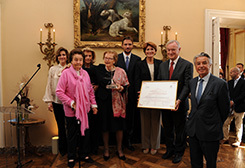 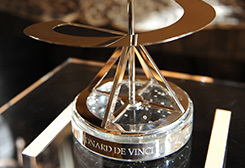 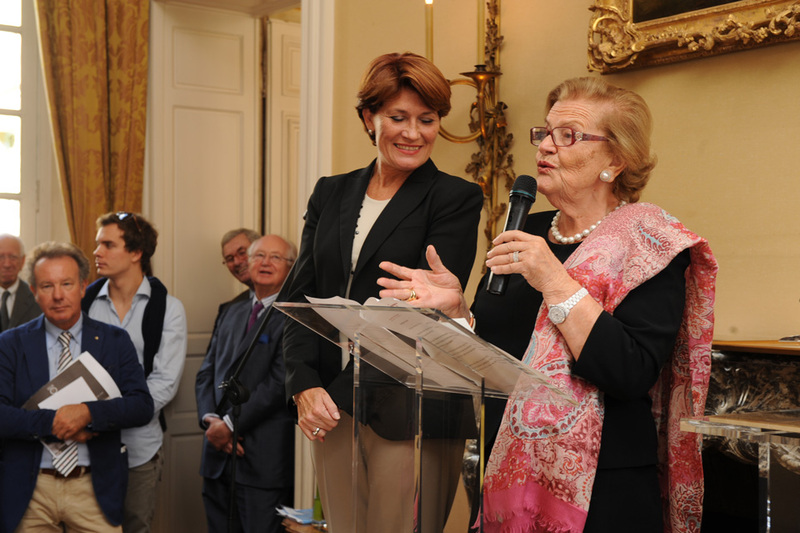 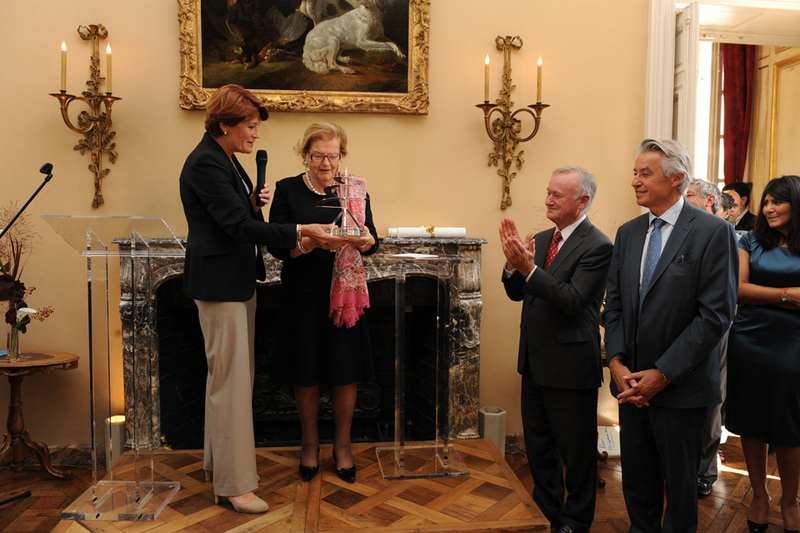 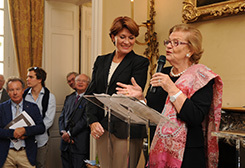 On 23 September 2011, the first Leonardo da Vinci Prize was awarded to Salvatore Ferragamo in the presence of Mrs Claude Greff, French Secretary of State for the Family. 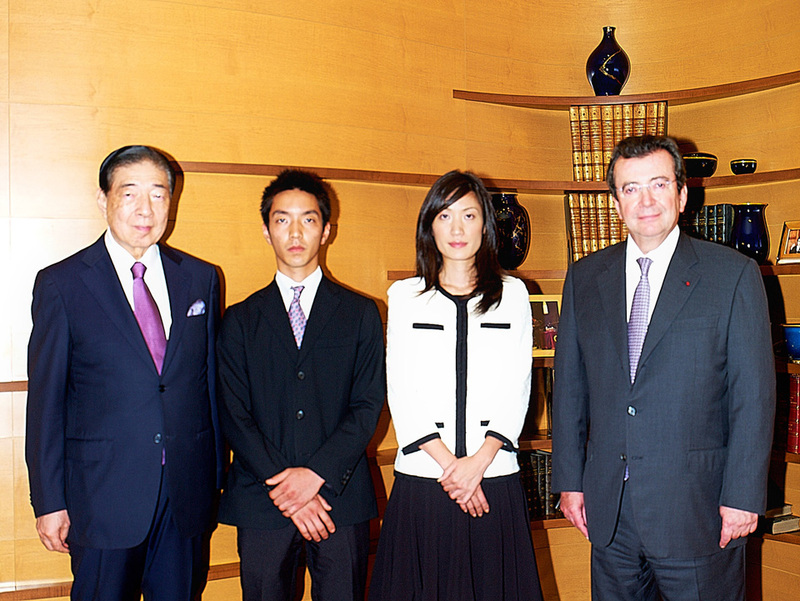 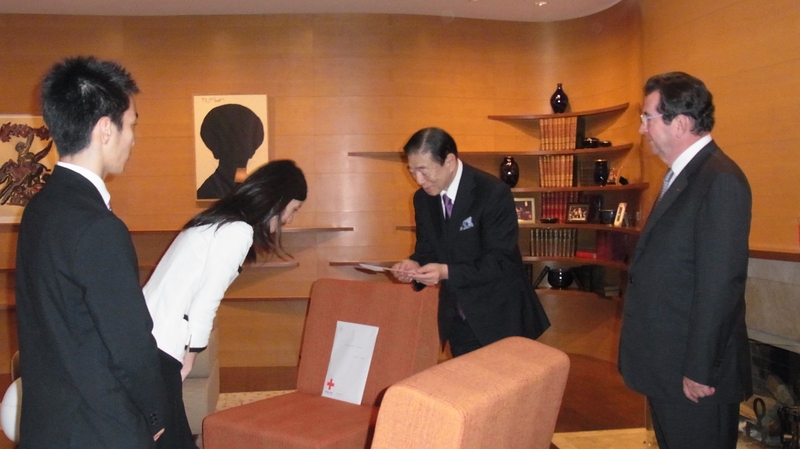 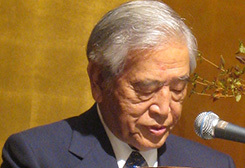 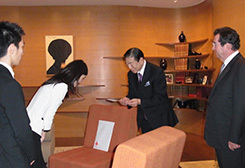 On 30 June 2011, a donation of €26,000 was made to Mr Tadateru Konoe, President of the Japanese Red Cross. First-hand report from Henokiens member Thiercelin. 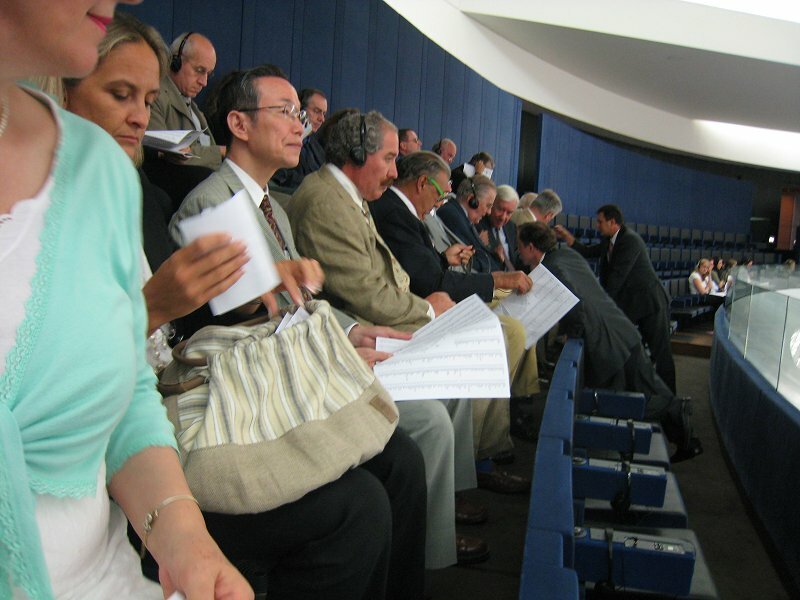 First-hand report from Henokiens member Augustea. 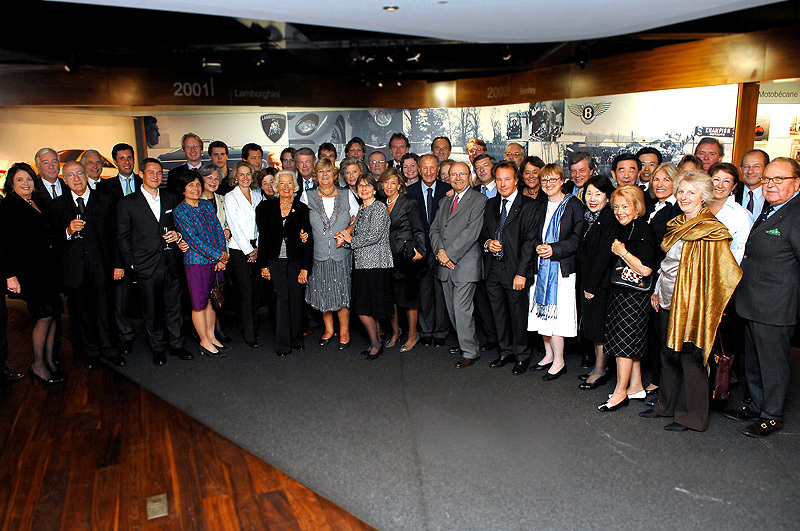 The Würth Group, a second-generation family business that has become the world leader in assembly products and consumables within 50 years. 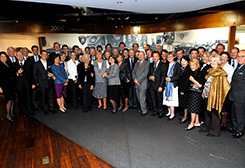 The family business Boehringer Ingelheim Pharma GmbH & Co.Kg, one of the leaders of the German pharmaceutical industry. 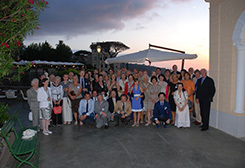 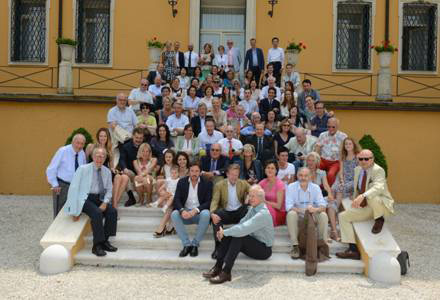 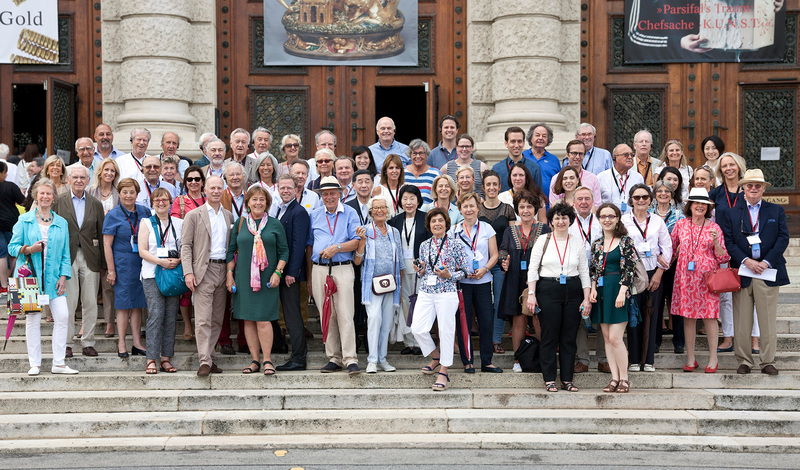 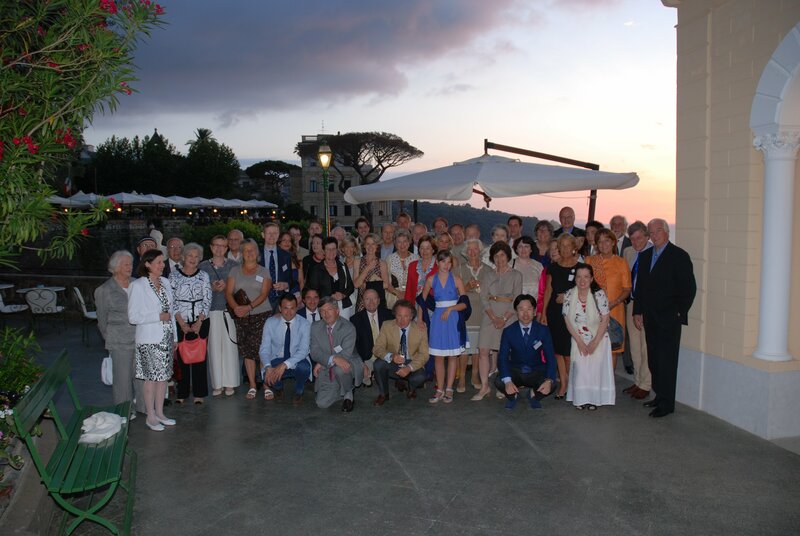 The members of the Henokiens association met in Sorrento, Italy from June 17th to 20th 2010, for the Annual General Meeting of the association. 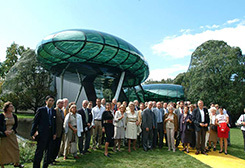 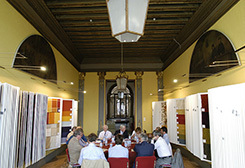 The 2010 Annual General Meeting was organised by Augustea, an Italian member company. 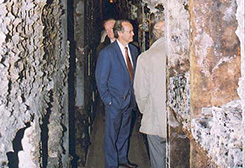 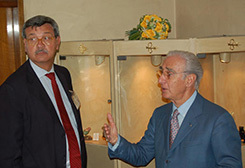 Lucio Zagari, Chairman of Augustea presented a history of the company founded in 1629. 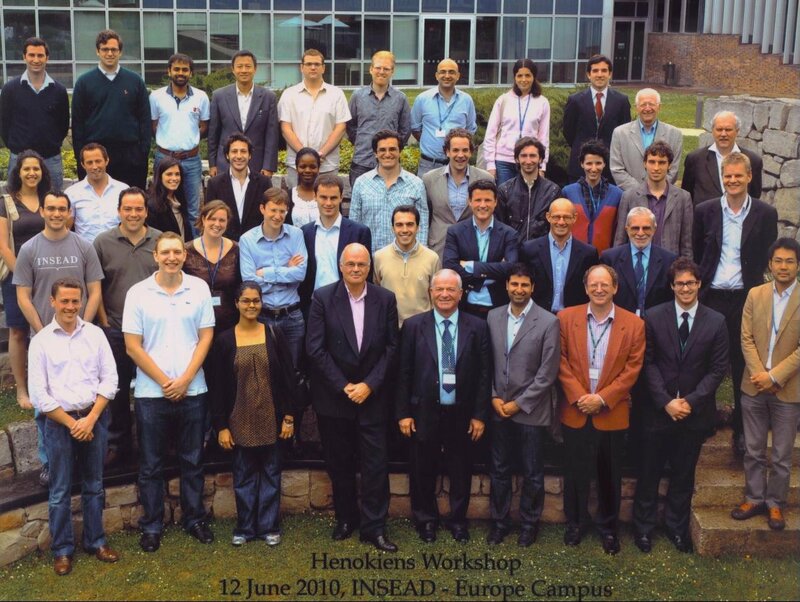 Three Henokiens companies (De Kuyper, Monzino and Thiercelin) took part in this seminar and shared experiences with MBA students from Insead and managers of young family-run businesses. 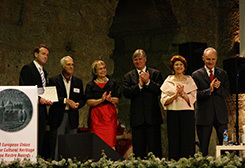 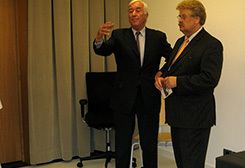 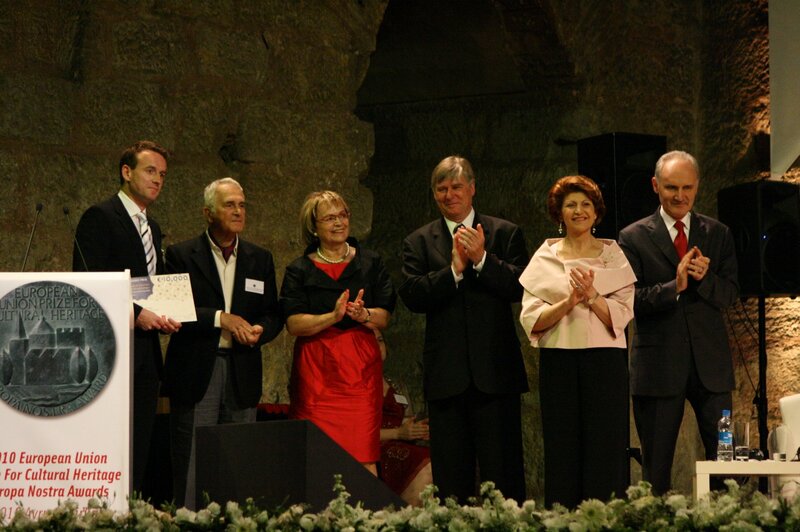 on 11 June 2010 in Istanbul in partnership with the Henokiens Association. 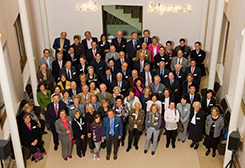 Henokiens members assembled for their General Meeting at Lombard Odier Darier Hentsch & Cie in Geneva (Switzerland) in October 2009. 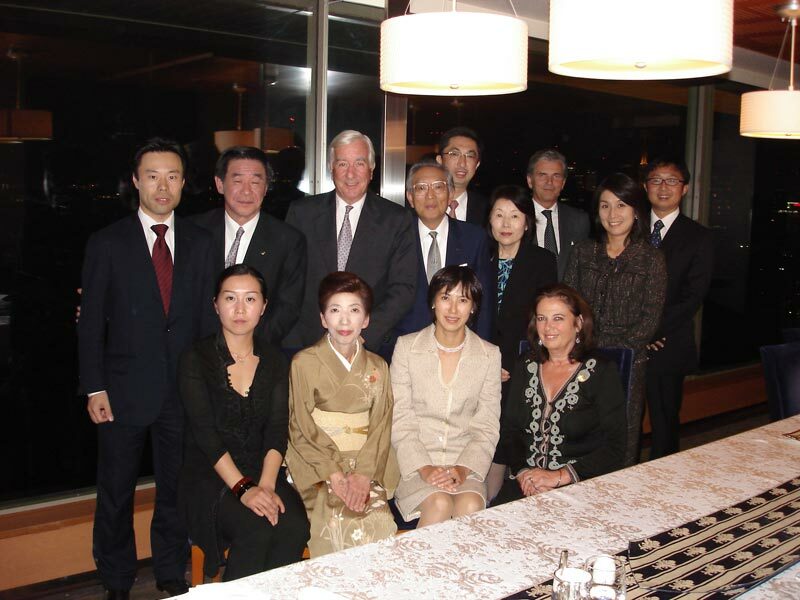 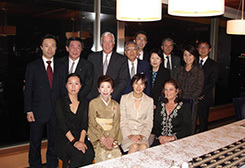 Henokiens members assembled for their traditional Gala dinner organized by our guest and member Okaya on 16 October 2008 in Nagoya, Japan. 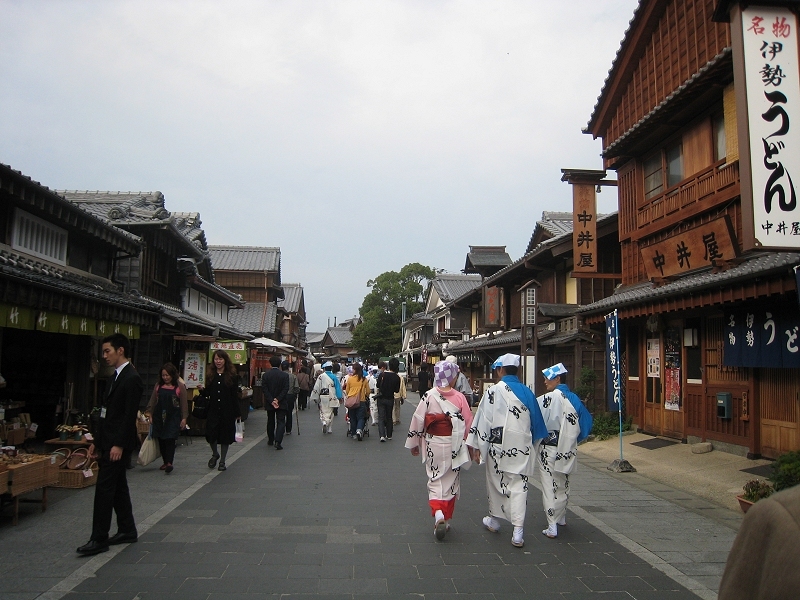 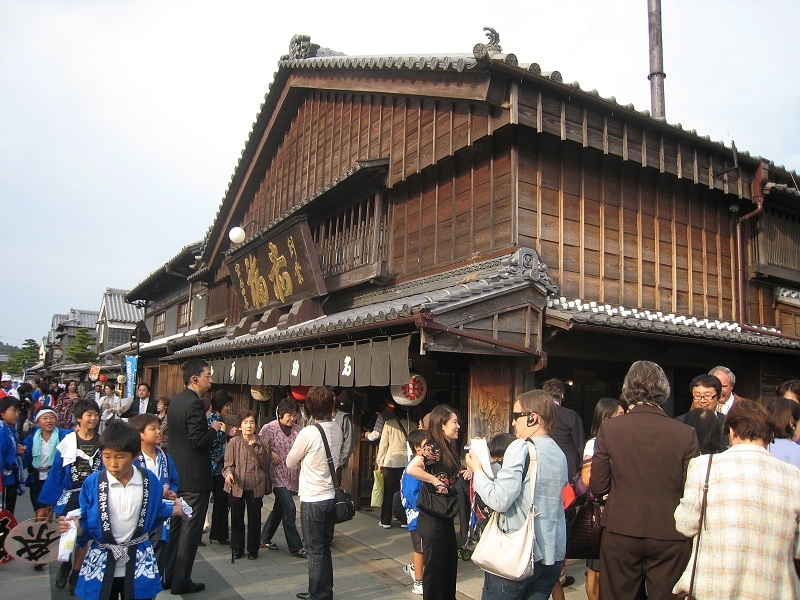 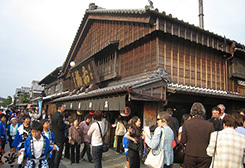 2008 General Meeting: visit of the historical birth place of the Akafuku tea shop at Ise. 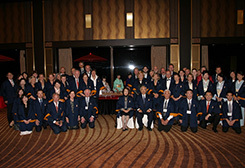 2008 General Meeting: visit of the Okage Yococho shopping centre created by Akafuku. 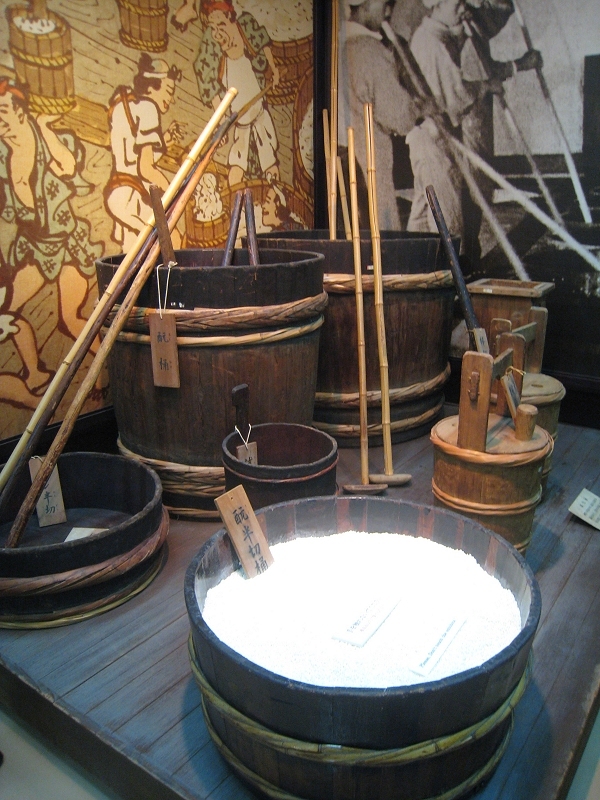 2008 General Meeting: visit of the Gekkeikan Okura Sake museum in Kyoto, Japan. 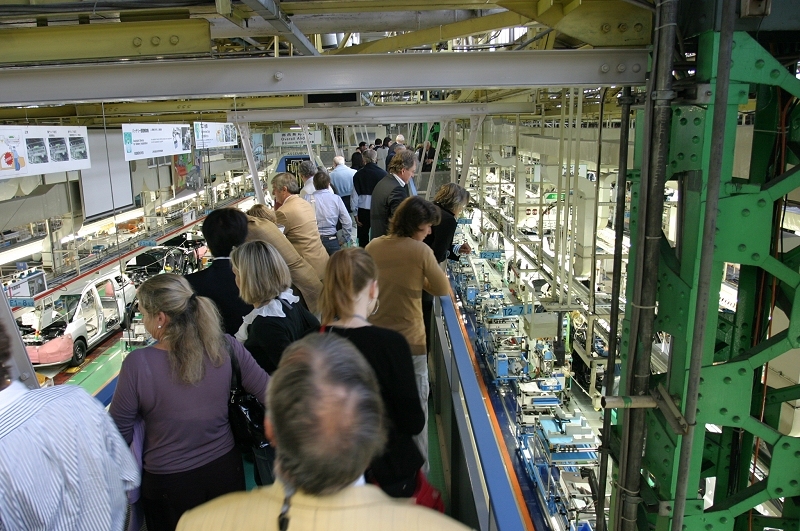 2008 General Meeting: visit of the Toyota Motor plant in Nagoya, Japan. 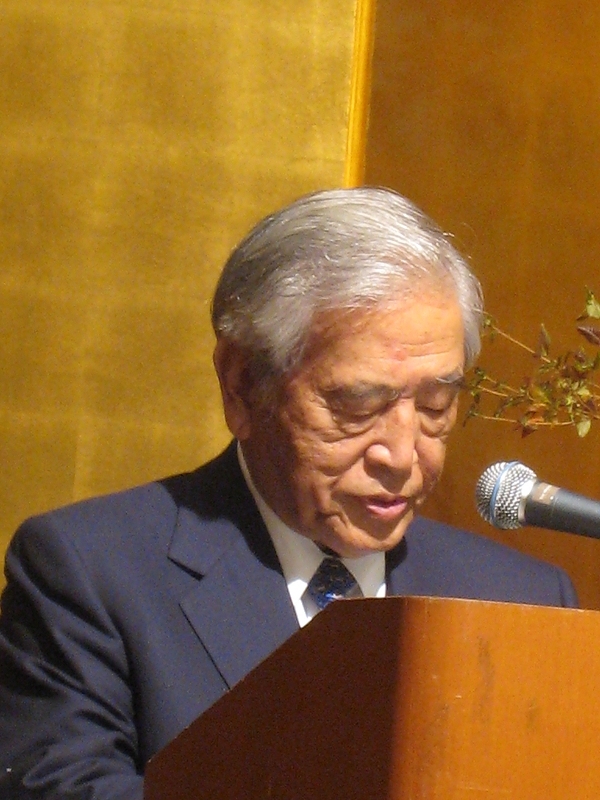 2008 General Meeting: Mr Shoichiro Toyoda, Chairman of Toyota Motor Corp, speaking to Henokiens. 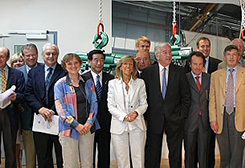 2008 General Meeting: visit of the Denso E & TS Training Centre in Nagoya. 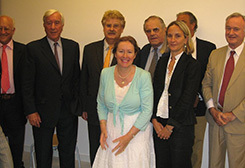 On 9 July 2008, Henokiens visited the European Parliament in Strasbourg and met Mr. Elmar Brok, reporter of the Foreign Affairs Commission. 2007 General Meeting: reception of members of the Henokiens Association within the D’Ieteren Gallery. 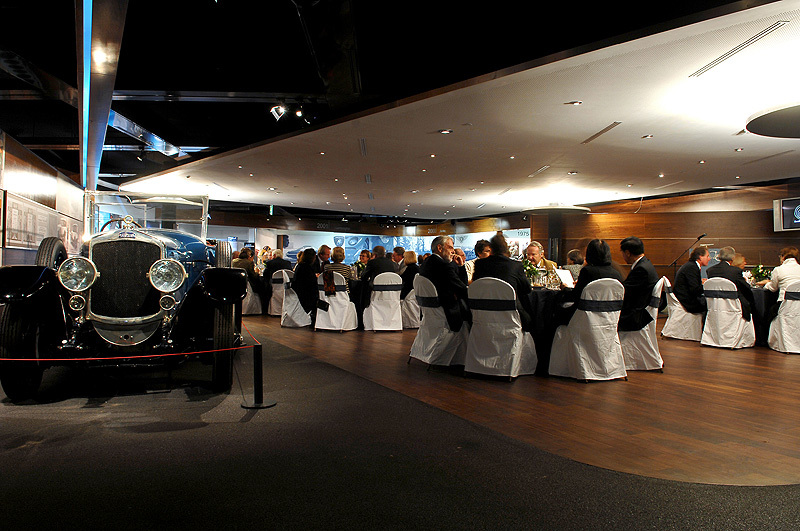 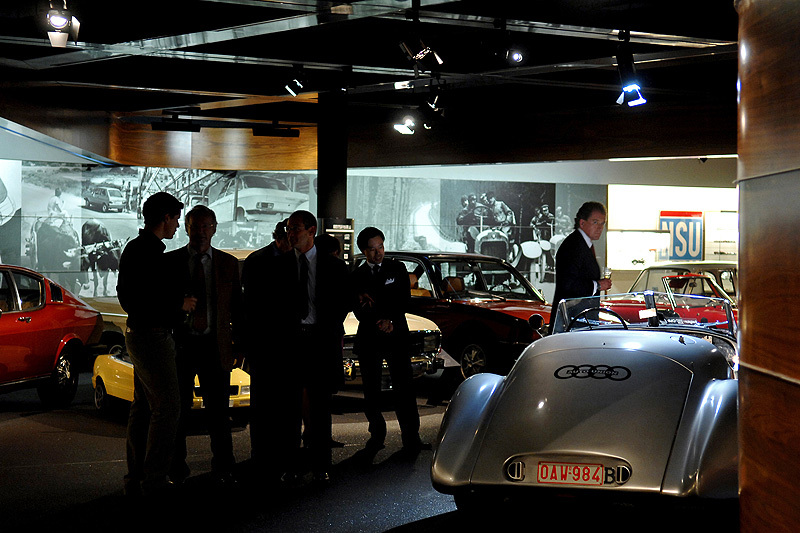 2007 General Meeting: visit of the D’Ieteren Gallery and its hundreds of cars assembled and distributed by D’Ieteren for over a century. 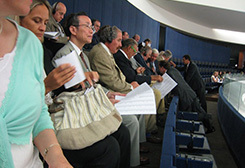 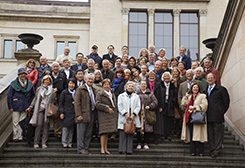 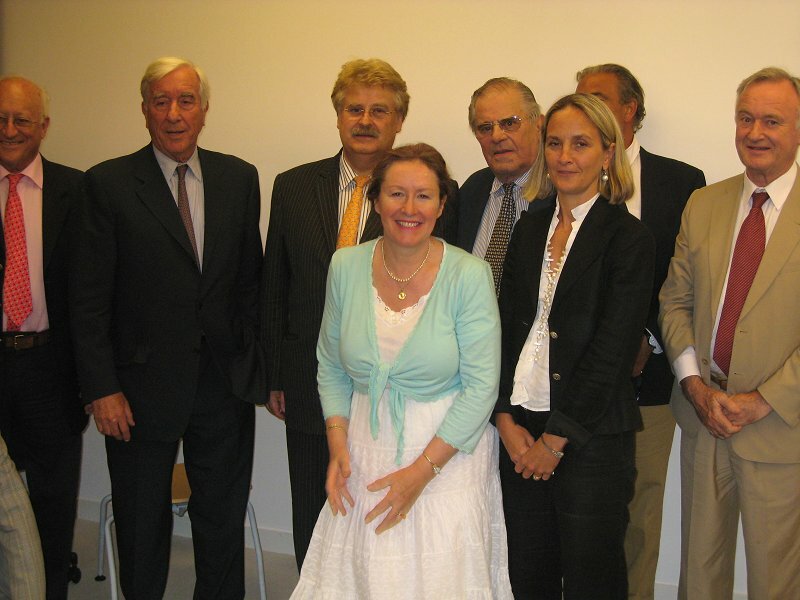 Henokiens members assembled for the General Meeting of the Association in Brussels, October 2007. 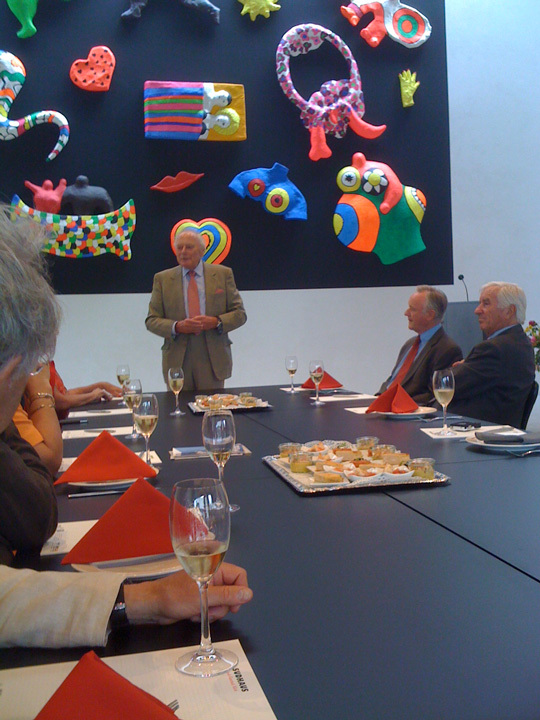 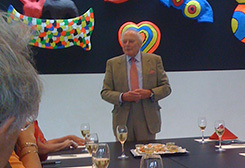 Patrick Adenauer, President of the Association of German Family Companies giving a speech to Henokiens members. 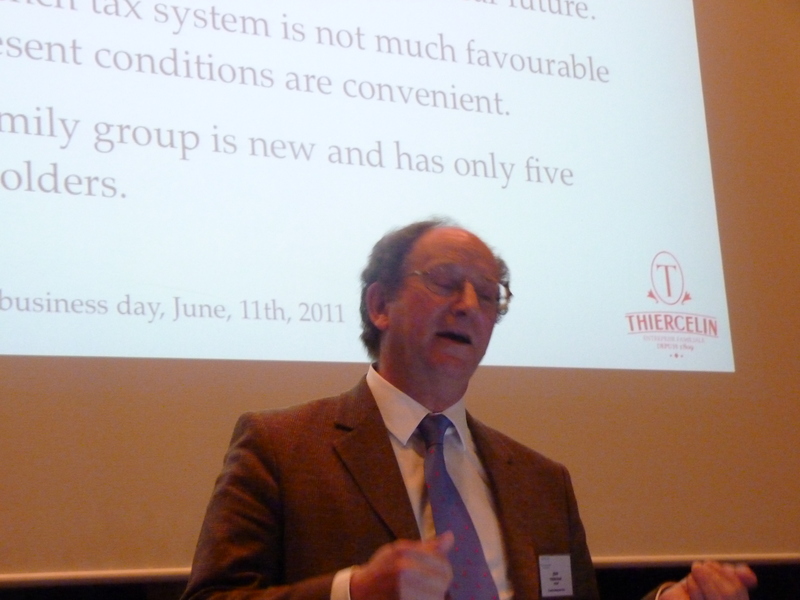 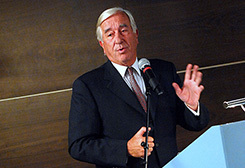 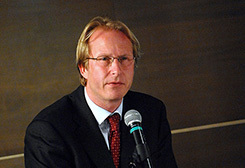 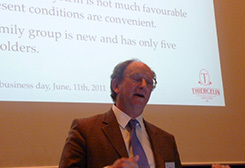 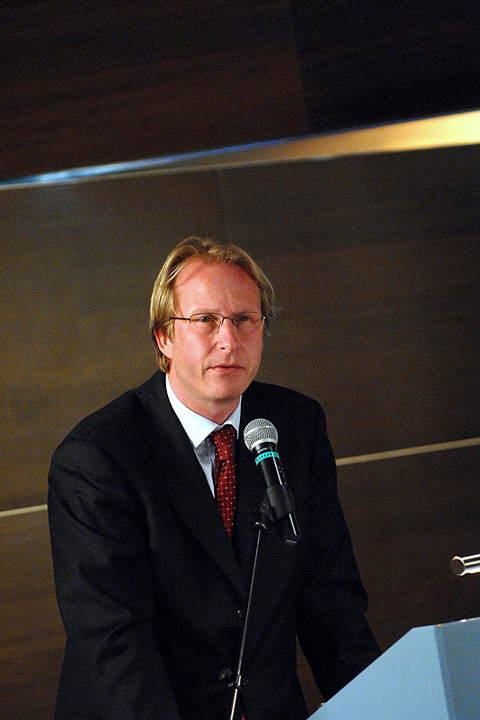 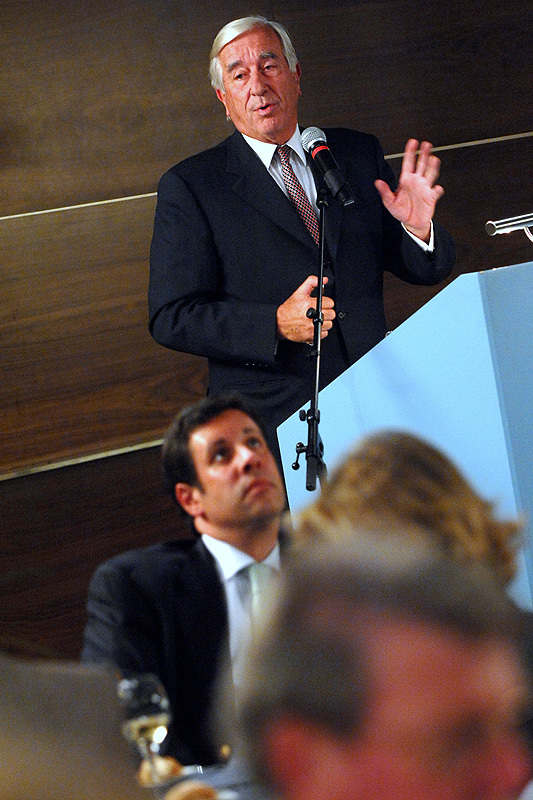 The President of Henokiens, Peter von Möller, during the 2007 General Meeting. 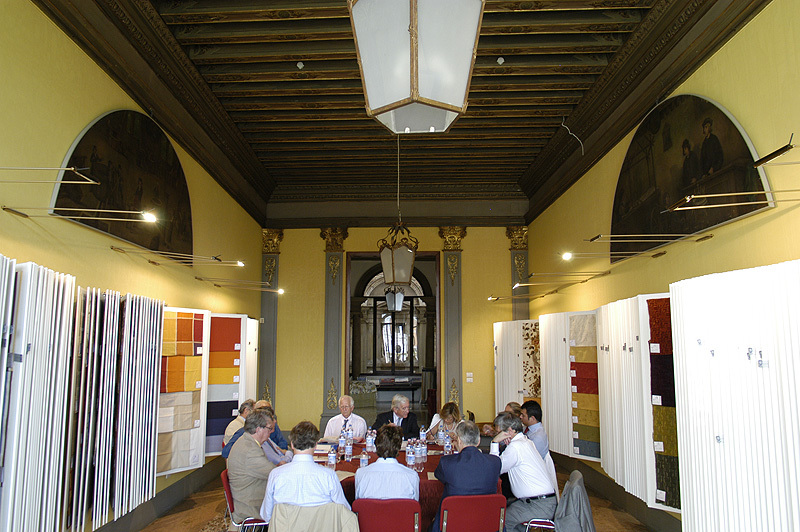 On 27 June 2007 in Venice, Henokiens members visited the historical archives of Rubelli, an Italian family company founded in 1858 and one of the world leaders in textile design. 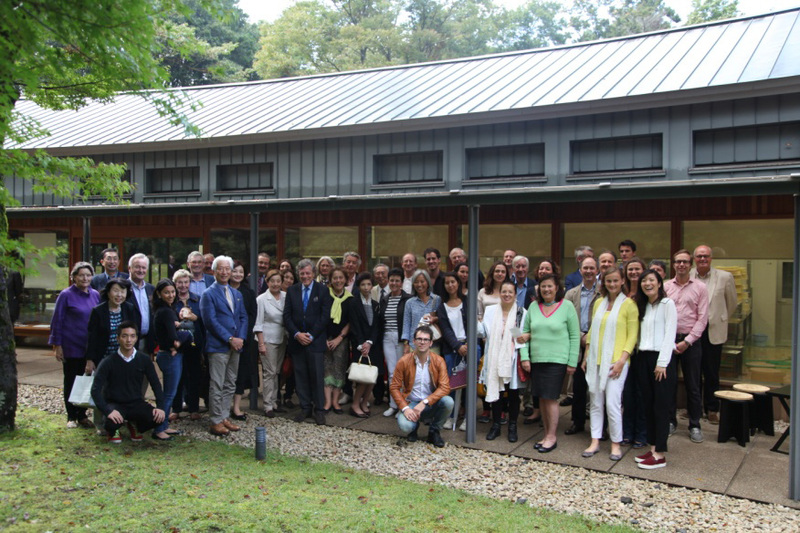 While they were visiting the renowned Rubelli company, members of the association learned about family know-how through the numerous textile collections. 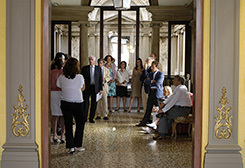 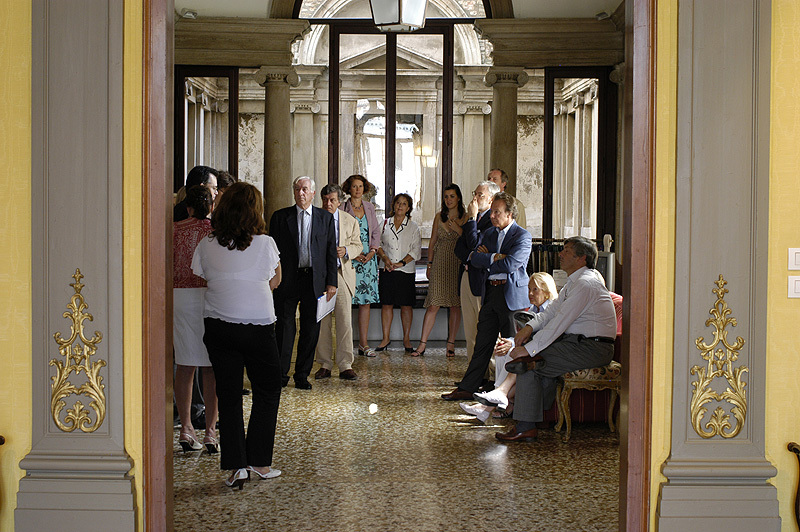 Meeting of the Henokiens Association board in Venice on 27 June 2007 in the Palacio Corner Spinelli which houses the Rubelli historical archives. 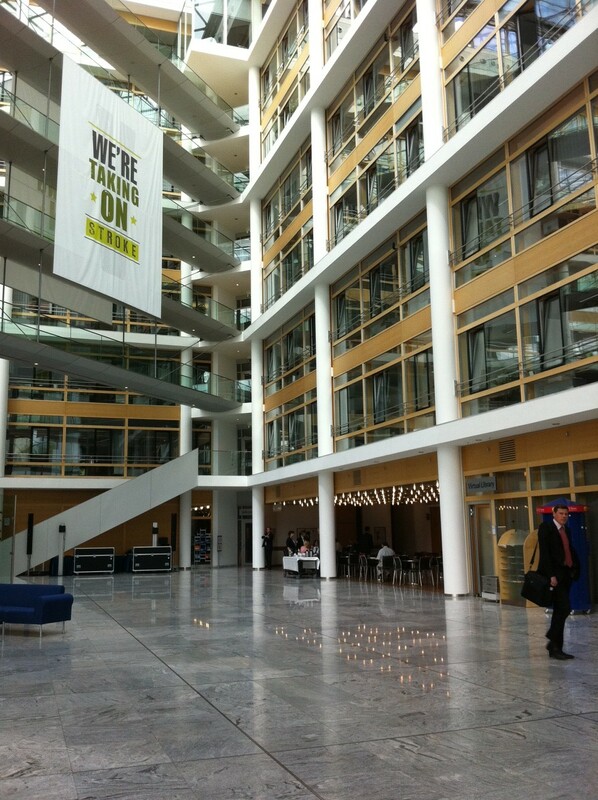 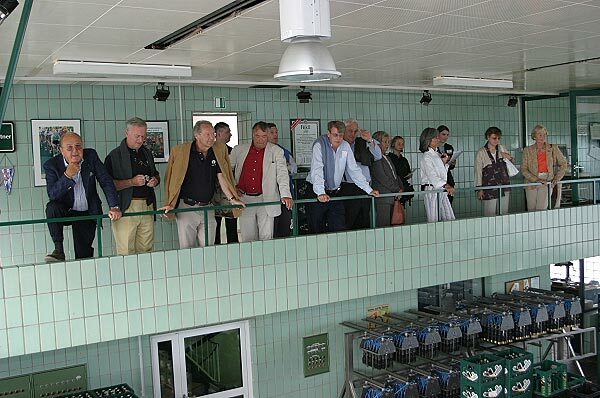 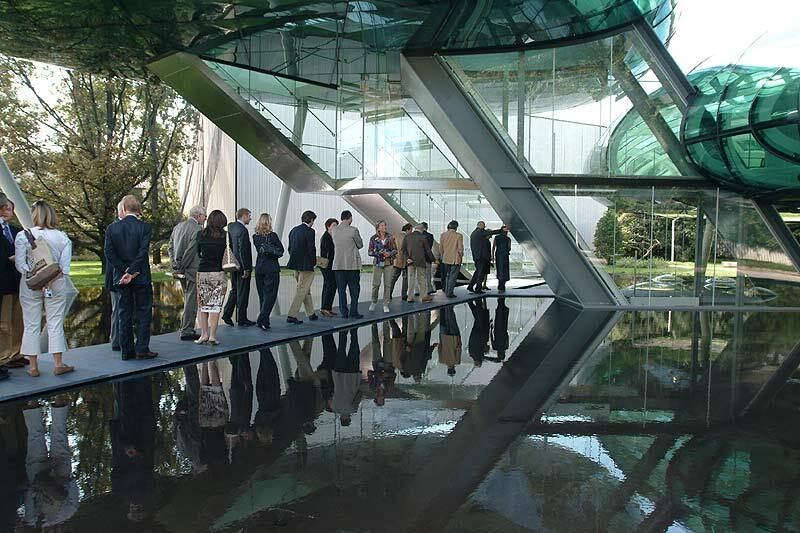 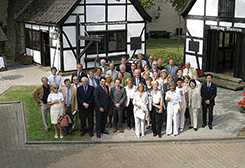 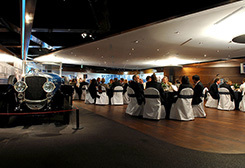 On 1 and 2 February 2007, Henokiens members visited the Villeroy & Boch headquarters in Mettlach, Germany, a 200 year-old family firm with a worldwide reputation. 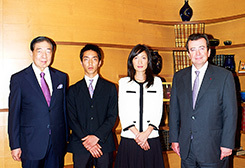 On 7 November 2006, four Japanese members of the association, Akafuku, Gekkeikan, Hoshi and Okaya met in Nagoya in the presence of the President of the Henokiens Association, Peter von Möller (Möller Group) and Ivan Pictet of the Pictet company & Co.
General Meeting in Florence on October 2006: Henokiens members assembled in Florence for the General Meeting. 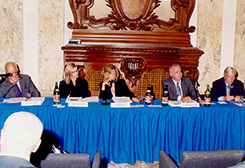 General Meeting in Florence on October 2006: Henokiens board members during the General Meeting. 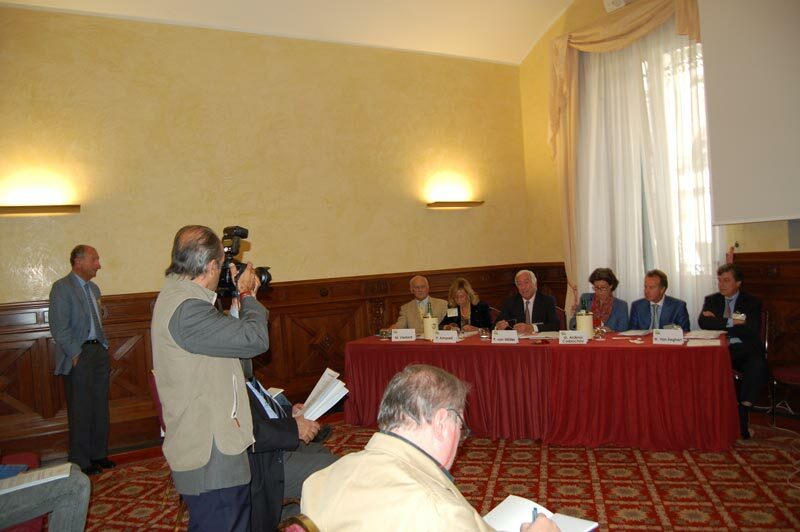 General Meeting in Florence on October 2006: Press conference during the General Meeting in Florence. 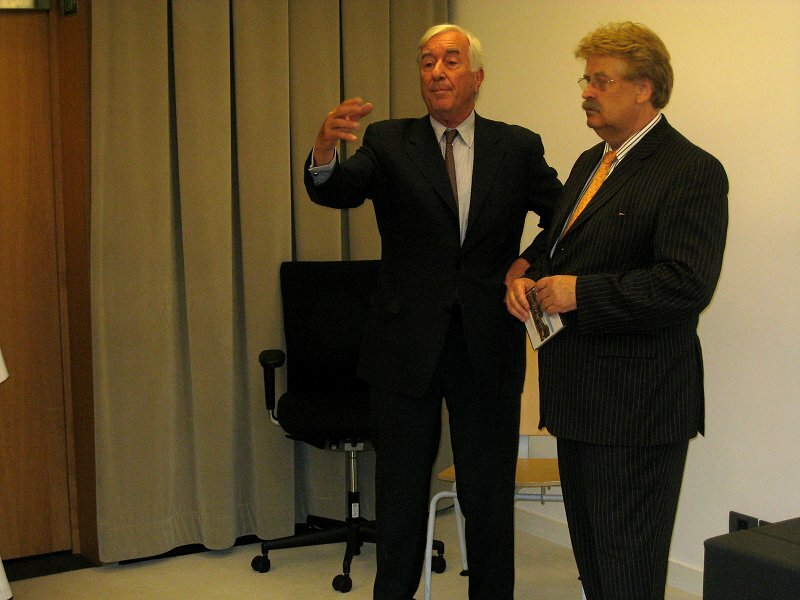 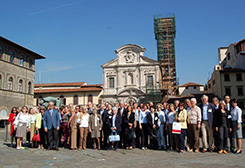 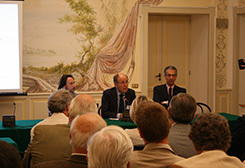 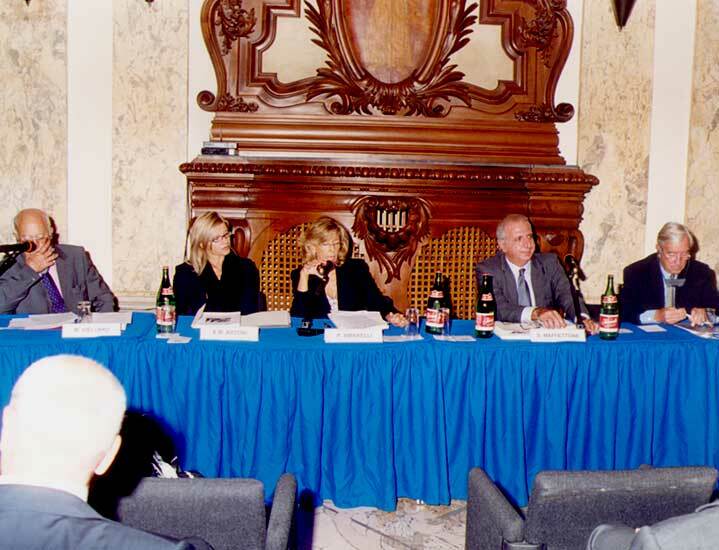 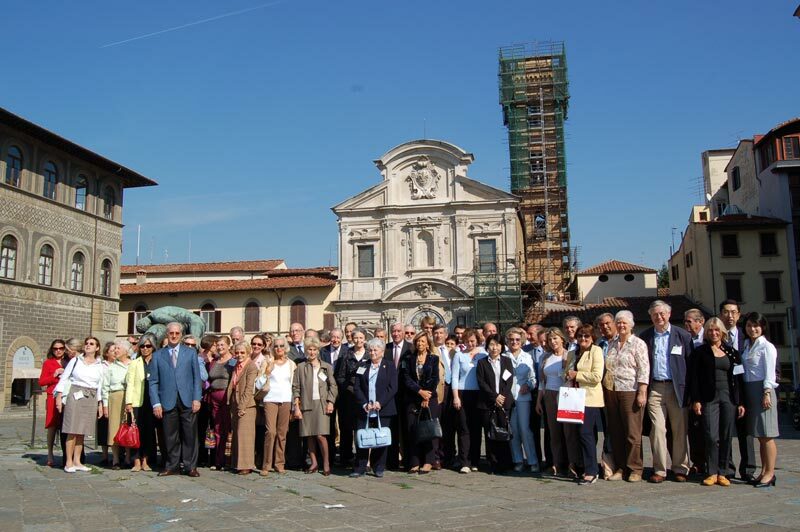 General Meeting in Florence on October 2006: Free Torrini (on the right) presenting the Torrini Museum to members. Henokiens members assembled for the 2005 General Meeting at J.D. Neuhaus in Witten-Heven, Germany. 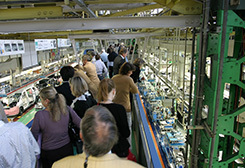 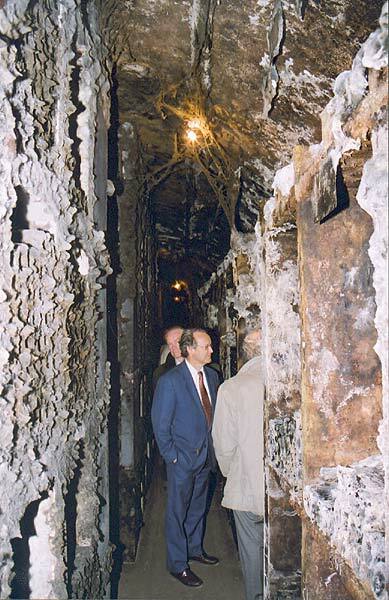 Visit of the J.D. 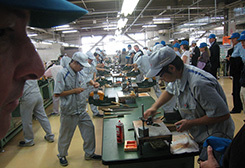 Neuhaus factory. 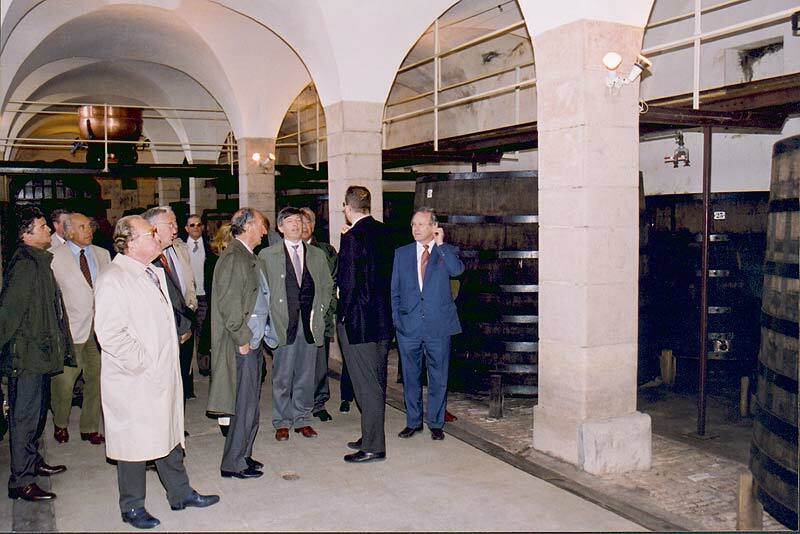 Visit of the Fiege brewery. 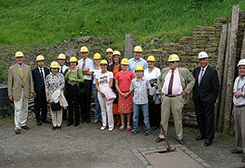 Visit of the Nightingale Colliery. 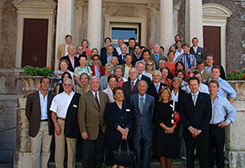 2004 General Meeting at Nardini in Bassano del Grappa (Italy). 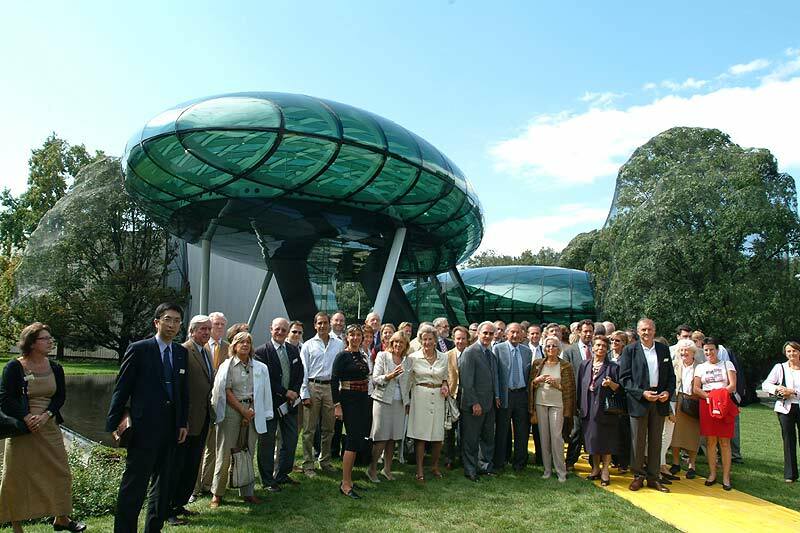 Visit of the new Nardini Reception Centre designed by the famous architect Massimiliano Fuksas. 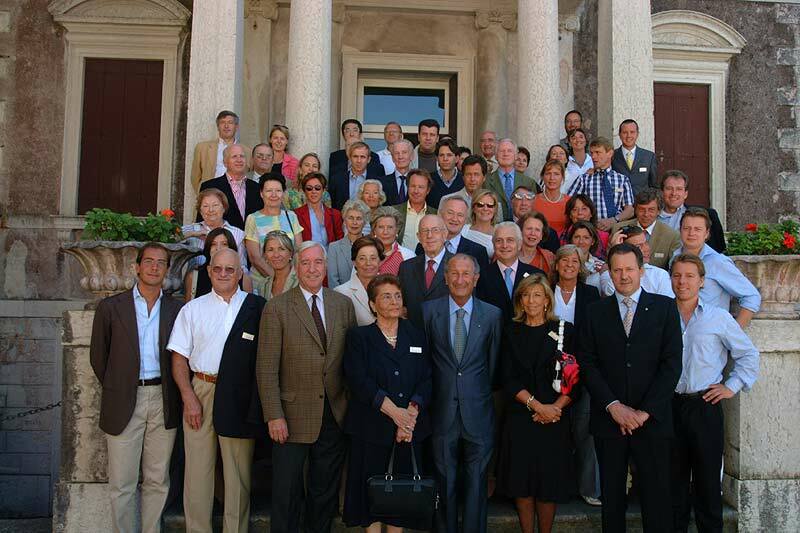 Meeting between Henokiens and the mayor of Bassano del Grappa. 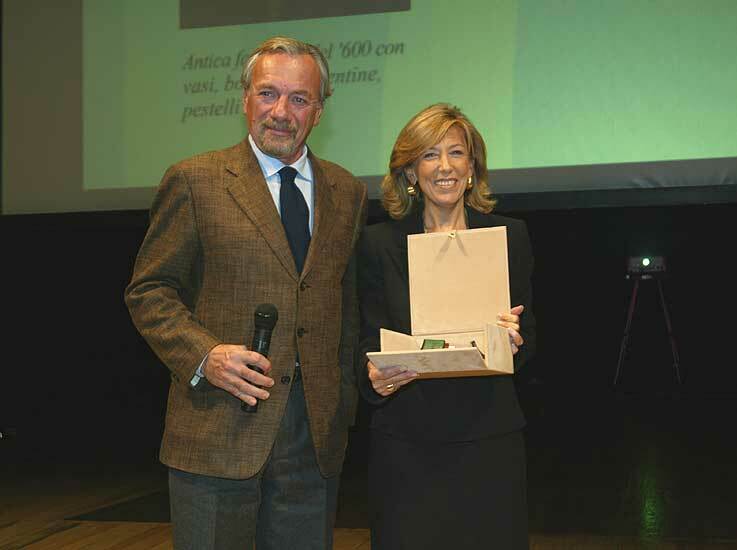 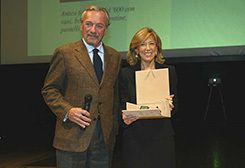 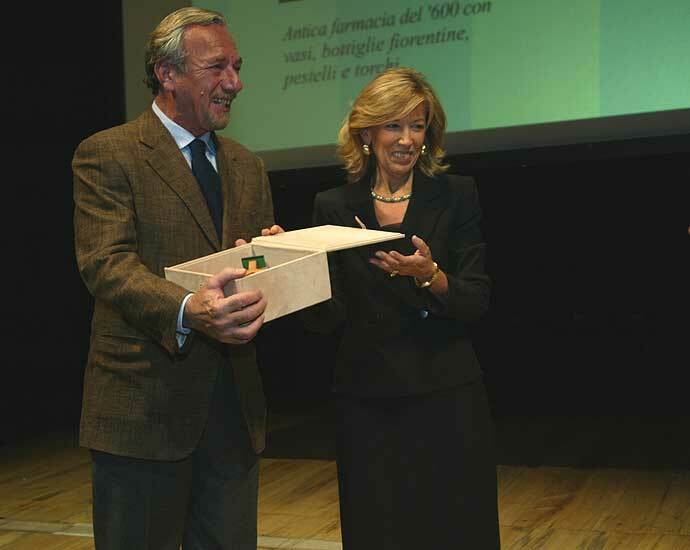 This event took place in the Teatro Goldoni where M. Alphandery, CEO of Farmacia di Santa Novella was awarded the Enterprise & Culture Henokiens Prize by Mrs Pina Amarelli, President of the Association. 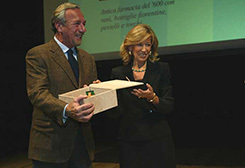 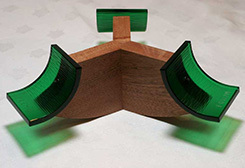 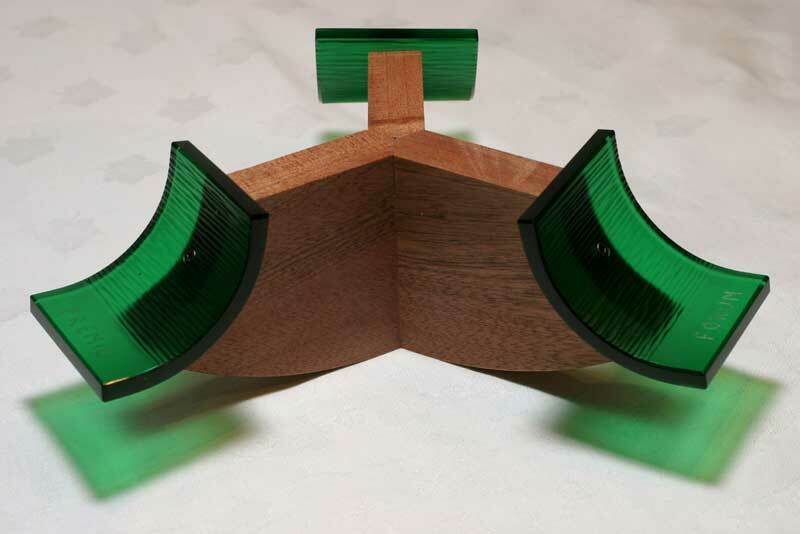 The Prize was designed by BONDARDO communicazione. 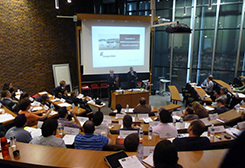 A one-day information session was organised in Rome by the Association on 16 October 2003. 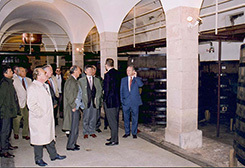 Visit of the Cuverie de Corton Grancey and the Louis Latour ancestral cellars in Aloxe Corton. 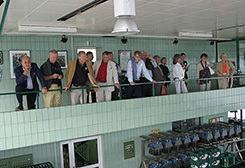 Visit of the Louis Latour company facilities. 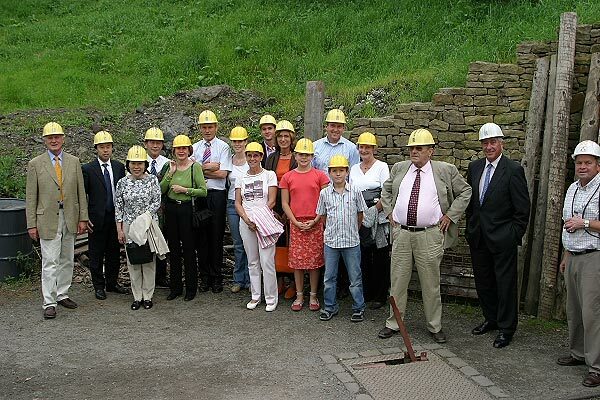 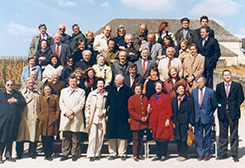 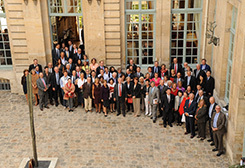 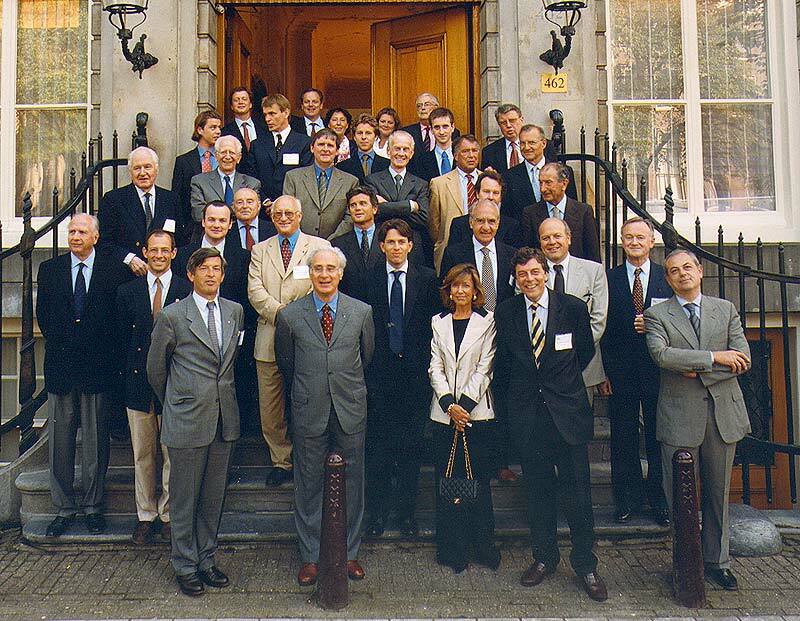 Henokiens members assembled for the 2003 General Meeting hosted by Louis Latour in Beaune, France. 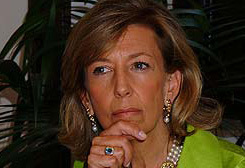 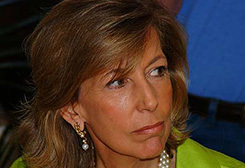 Pina Amarelli, the Henokiens Association President. 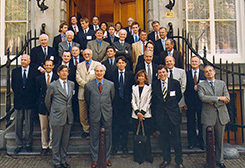 Henokiens members assembled for the 2000 General Meeting hosted by Van Eeghen in Amsterdam, Holland.